Though beautiful, the hike feels a bit like a hospice visit. 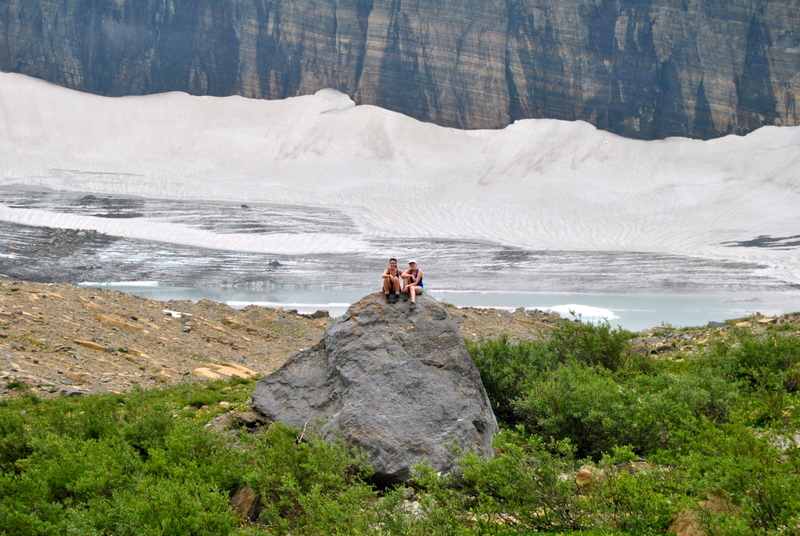 Grinnell Glacier has lost 90 percent of its ice in the last century. 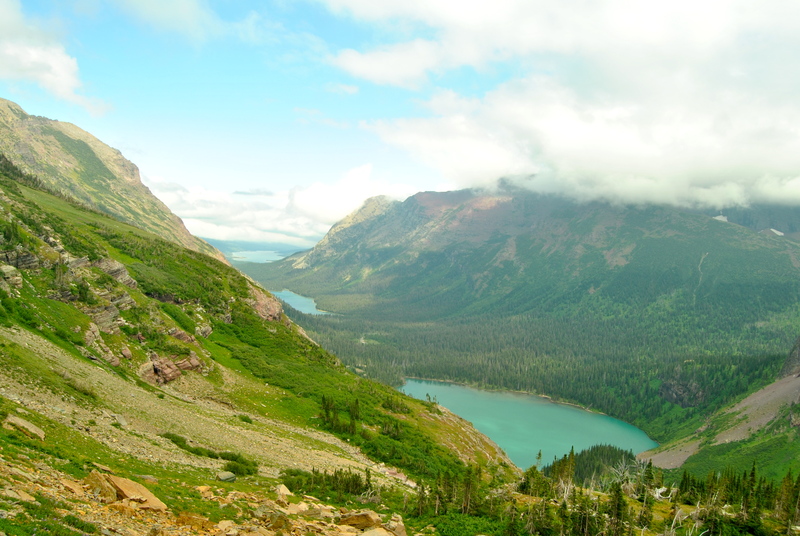 Of the 150 glaciers that speckled Glacier National Park at its founding in 1910, only 25 remain. The latest predictions indicate that all of the glaciers in Glacier National Park will be gone by 2030. Cause of death: slow retreat due to temperature rise. A glacier is defined as a body of snow and ice that moves, and when a glacier dwindles to 25 acres or less in size, it lacks the mass that gives it mobility. It begins to break up into smaller chunks, each year shrinking more in the summer than it grows in the winter. And then, one day—probably in August—it flickers out. 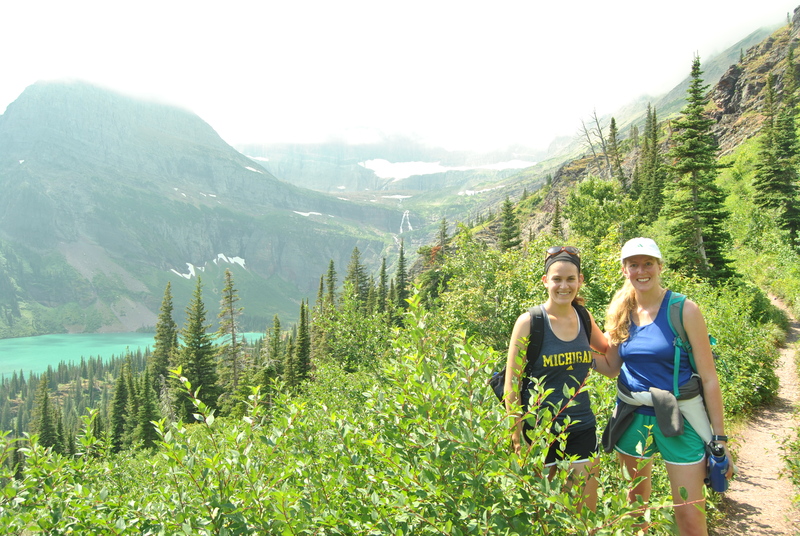 So we’re meeting Grinnell Glacier for the first time, but we’re also saying goodbye. These days, more and more visitors to Glacier National Park are coming to pay their respects to the last of the powerful ice bodies that carved this landscape. Lisa McKeon, a physical scientist at the Northern Rocky Mountain Science Center in West Glacier, Montana, has noticed a new attitude among park visitors to “see the glaciers before they’re gone.” The 2030 expiration date for the glaciers—though only one approximation—sticks out in people’s minds as their deadline to experience the Park’s namesakes. 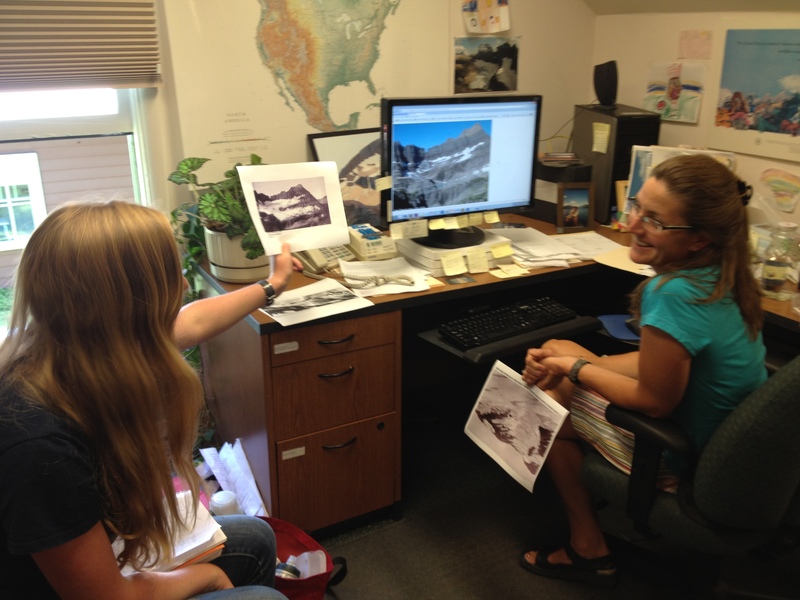 Road tripper Kirsten Howard and Lisa McKeon of USGS compare historical photos of glaciers with current ones. The connection between glacial retreat and climate change is pretty straightforward. Since 1900, the mean annual temperature in Glacier National Park has increased by 2.4 degrees Fahrenheit (1.3 degrees Celsius)—1.8 times the global mean increase. Snowmelt is occurring up to a month earlier, and more precipitation is falling as rain rather than snow. 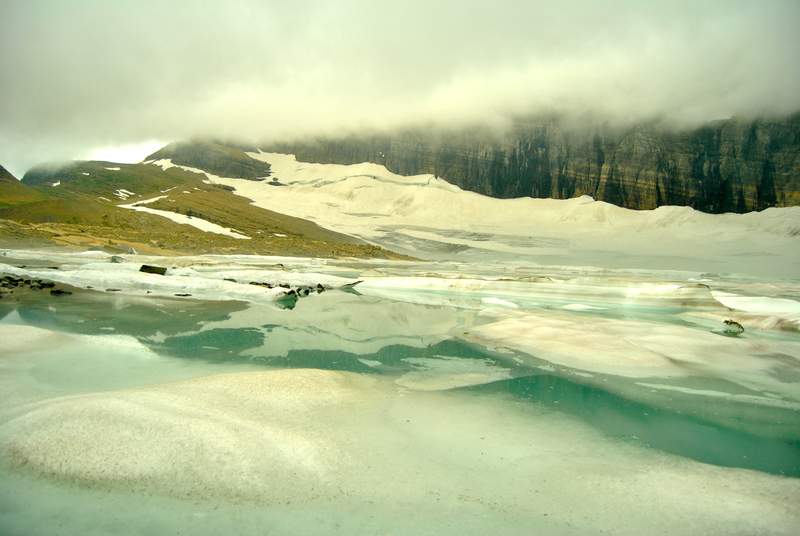 Though glaciers have grown and retreated throughout geological history as Ice Ages come and go, the rate of glacial retreat currently occurring is unprecedented and can only be explained by the warming effect of anthropogenic greenhouse gas emissions. 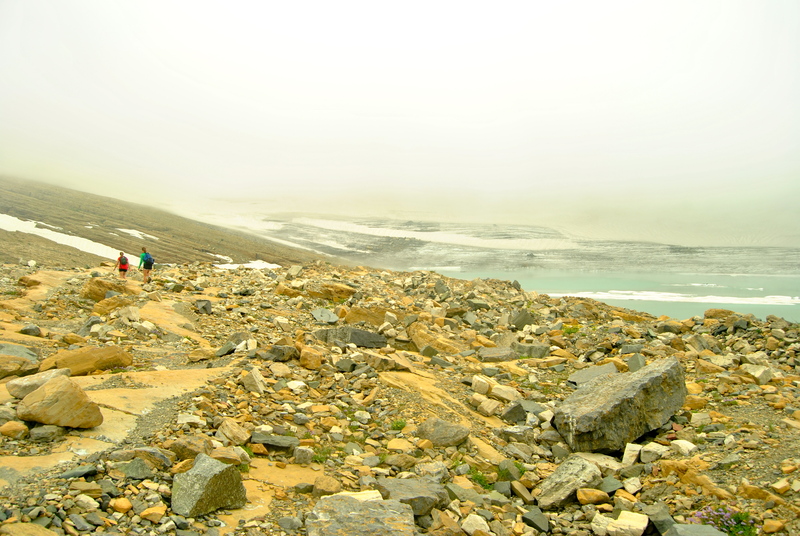 For many Park visitors, the retreating glaciers provide physical evidence of a phenomenon—climate change—that is otherwise so global and decadal in scale as to be unobservable. And McKeon is actually one of the main reasons visitors are now able to ‘see’ climate change. 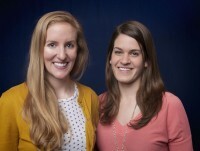 Since 1997, she has run the repeat photography project out of USGS’s Global Change Research Center in Glacier. McKeon finds a photograph from the early 1900s, then goes out to the exact spot the image was taken at the same time of year and snaps a new one. Sometimes, the change is so dramatic that it’s hard to believe the two photographs were taken in the same place. 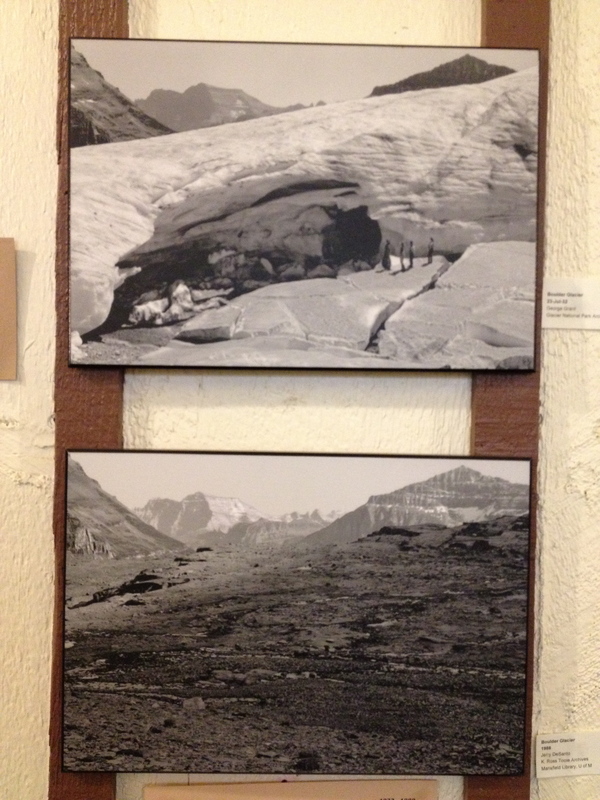 The side-by-side comparison photos have been used frequently in the media, in books, and in the ‘Losing A Legacy’ museum exhibit currently displayed in Many Glacier Hotel at the base of the Grinnell Glacier hike. McKeon told us that when she goes to the exhibit to do maintenance or add a new display, she overhears peoples’ reactions. Some people seem saddened; others emboldened. “Get these to Congress!” one visitor remarked. During his August 8th program, Schuster’s explanation of glacial retreat was, for the most part, accessible and captivating. He used a bank account metaphor to describe how a combination of less ‘snow deposited’ and more ‘snow withdrawn’ can lead to glacial retreat over time. 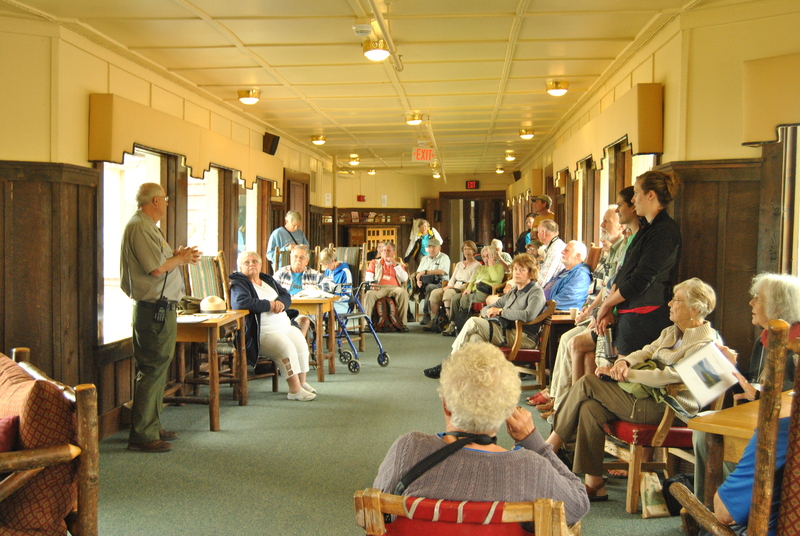 And he described how he has witnessed the changes himself over the years, stepping dramatically across the hotel hallway to show that, over the years, his tour groups had to walk further and further to get to the Grinnell Glacier ice. Eventually it was too dangerous to trek across the glacier at all. When he got to the tricky part—the why—Schuster acknowledged that climate change is sometimes a controversial topic. But anthropogenic carbon emissions are, unfortunately, the main driver of the glacial retreat currently occurring in the Park. He encouraged the audience to go online to calculate their carbon footprints. “We probably can’t save these glaciers, but there are things we can do,” Schuster said. Some audience members nodded in agreement; one woman jotted a reminder on a notepad. But at least a few people seemed skeptical. One man we spoke with after the talk thought that humans were egotistical for ‘taking credit’ for altering something as fundamental as our atmosphere. 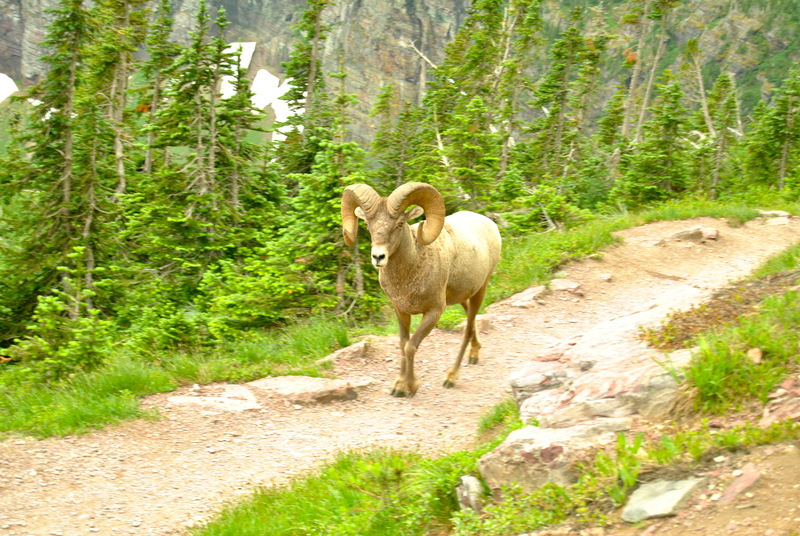 And in some ways, that man was expressing what the existential crisis of Glacier National Park is really all about. It’s not about having to rename the landscape the “Park Formerly Known As Glacier,” as Al Gore has quipped. It’s really about looking at the photographs of Glacier’s quickly disappearing ice giants and recognizing their undoing as our own doing—a consequence of our carbon-laden economies. Though glaciers are the charismatic ‘poster child’ of climate change in Glacier National Park (and around the world) and their inevitable loss is heart-wrenching, warming temperatures and changing precipitation patterns will also have severe impacts on the Park ecosystems below the glaciers. Streams may heat up and dry out with less dependable pulses of summer snowmelt, disrupting fish spawning. Forest fires may intensify. As spring appears earlier, seedlings may get a head start on growth, transforming ecologically valuable alpine meadows into new-growth forests. Avalanches may become wetter and slower, acting more like bulldozers than the ‘dry’ avalanches that shape 50 percent of alpine terrain. Fagre, who once climbed a glacier with Al Gore, realizes the political power and nostalgic pull of glaciers. But the more ecologically important loss happening in the Park is that of snow. Fagre notes that alpine ecosystems sometimes have poor soils that don’t retain water well, so without the snowpack that provides a continuous, slow-releasing source of water and protective cover to vegetation, “you can go from being buried by snow to desiccated in a very short period of time.” The sierras also have a granitic tree line, meaning the mountain vegetation is delineated by soil type, not climate. Because they’re tied to a specific soil type, plant species cannot easily move up the mountain as the climate changes—an ecological adaptation that has been documented in other places. 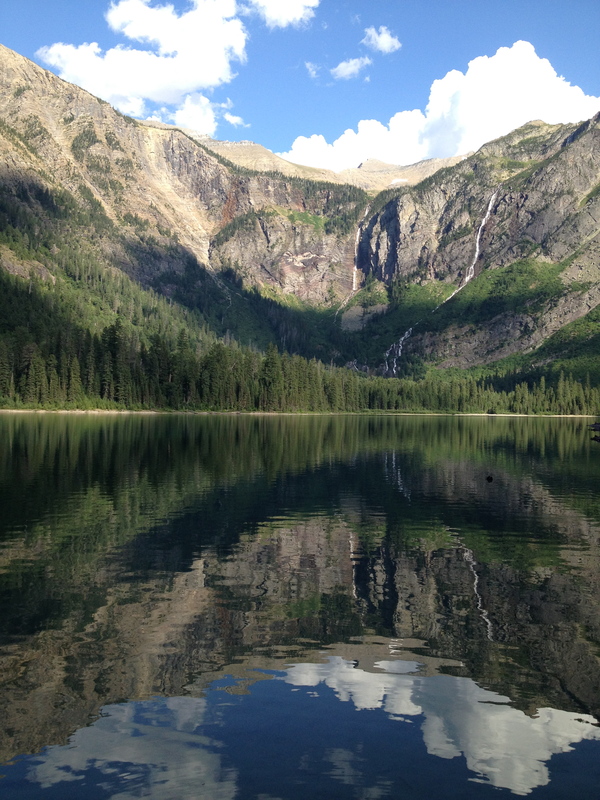 In other words, ecosystems in Glacier National Park may shift dramatically rather than gradually, and some plant species may not be able to survive in the new conditions. How is the Park Service preparing for the ‘step function’ changes that are coming? Preparation is challenging when, unlike with the glaciers, there is no estimated date when affected species will disappear. Fagre describes a ‘threshold effect’—a kind of ecological tipping point beyond which species will not bounce back. The trick is that no one knows exactly where those thresholds lie. “Where do we need to put money into extreme fire suppression because it may be the last chance to save that ecosystem?” Fagre asked. It is unclear how plant and animal species will respond to dramatic ecological shifts in Glacier. In the face of this uncertainty, the strategy has been something we hear a lot: the Park Service is ‘keeping options open’ as a way of building resilience and maintaining flexibility. When it comes to ecosystem management, this sometimes means intervening in natural processes—and with climate change, the Park Service is intervening perhaps a little more heavy-handedly than they have in the past. Glacier National Park is named not for the glaciers themselves, but for how glaciers shaped the landscape. These two actions have one key thing in common: they provide ecological insurance in the face of uncertainty. When the thresholds for species and ecosystem collapse—the ‘points of no return’—aren’t clear, Park managers are erring on the side of intervention rather than letting nature take its course.